Instructor / Examiner Courses – be your own Boss! We teach you to teach others! Red Rose Training provides a professional service, expert tuition and competitive pricing for forklift truck driver training. The Independent Training Standards Scheme and Register (ITSSAR) is an accreditation scheme setting the standards of training and safety in the operation of industrial trucks to meet the demands of employers. 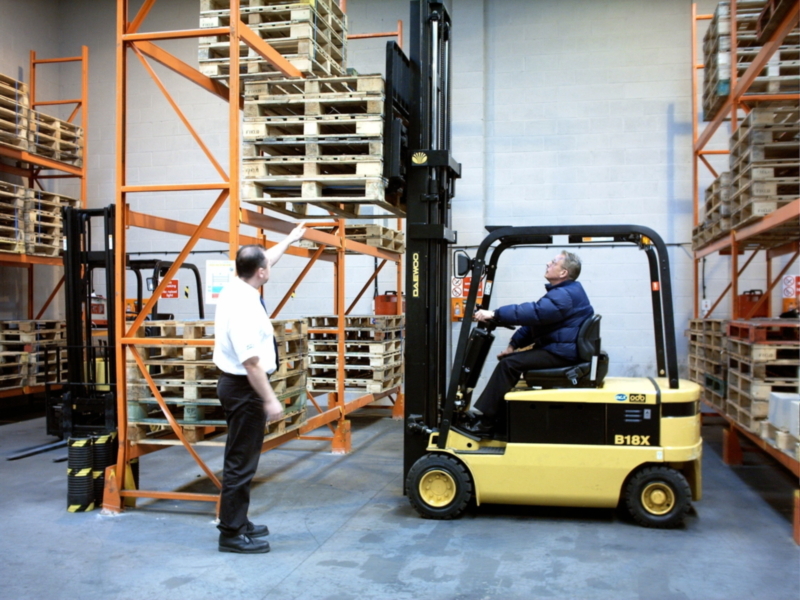 As an ITSSAR approved centre, Red Rose Fork Lift Truck courses meet these standards. Successful candidates, operators/instructors enjoy the benefits of a qualification accepted throughout the industry. All aspects of safety in FLT operations form an integral part of every course. Routine maintenance to extend the life of equipment and pre-shift checks to improve safety are included. operator courses. Examinations for both theory and practical sections of the Instructor Course are by Red Rose examiners using our classroom and warehouse facilities. Red Rose offers FLT operator training at client’s premises provided that the facilities meet with ITSSAR specified standards. Red Rose Training was founded more than 20 years ago and has since built a desirable reputation within the industry for our professionalism and commitment to customer service. Operating in Manchester, Bolton and Preston we are proud of our high standards which provide quality driver training designed to give you the best possible chance of success. PLEASE CALL FOR BEST PRICES ON DRIVER CPC – WE WILL NOT BE BEATEN ON PRICE!